Is unschooling younger kids even a thing? We used to say that you can't "officially" unschool until your child is school age. The reasoning behind it was there was no legal or social pressure to comply with the rest of the world. And while the legal pressure isn't there until about the average age of 6, a tremendous amount of social pressure exists to get your child into a good preschool! As educators push to start academics earlier and earlier, parents are resisting. Younger children do NOT need earlier intervention. To learn and grow, younger children need parents to create a stimulating environment full of various sights, sounds and textures. Play WITH your children. Encourage more joyful exploration. And learning will happen...it has been happening all along! Over at our Facebook group, we've talked a lot about unschooling with younger kids. And along the way, we've collected some articles that you may find helpful. 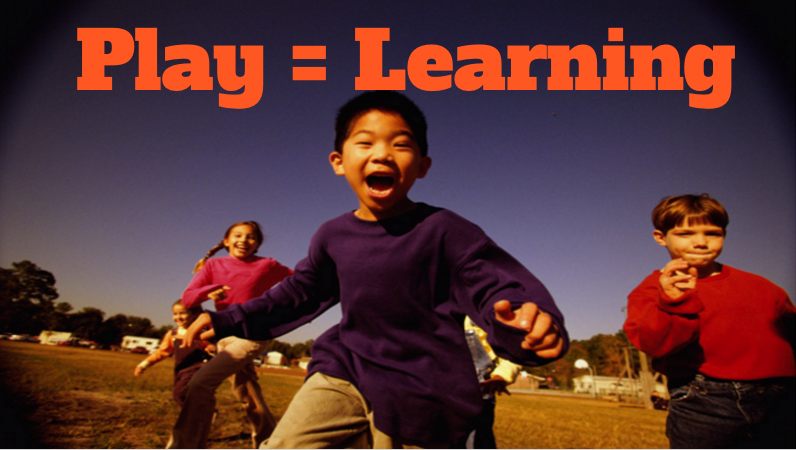 Importance of Play, articles that emphasize how learning and play are intertwined. Parenting Help for those who want to break away from some of the mainstream techniques - but don't know what to do! If you find additional articles that would be helpful to add here, please use the form at the bottom of the page. "it is before the age of 7 years — ages traditionally known as “pre-academic” — when children desperately need to have a multitude of whole-body sensory experiences on a daily basis in order to develop strong bodies and minds ... If children are not given enough natural movement and play experiences, they start their academic careers with a disadvantage. They are more likely to be clumsy, have difficulty paying attention, trouble controlling their emotions, utilize poor problem-solving methods, and demonstrate difficulties with social interactions. We are consistently seeing sensory, motor, and cognitive issues pop up more and more in later childhood, partly because of inadequate opportunities to move and play at an early age. THE NATIONAL ASSOCIATION FOR THE EDUCATION OF YOUNG CHILDREN offers a great collection of tips from Laurel Bongiorno, PhD, the director of Champlain College’s graduate program in early childhood education. "Learning through play with “hands-on, minds-on” approaches (not workbooks) is a powerful way forward. Play gives children space to dream, discover, improvise, and challenge convention. It’s crucial to social, emotional, cognitive and even physical development, helping them grow up “better adjusted, smarter and less stressed.” We know this." 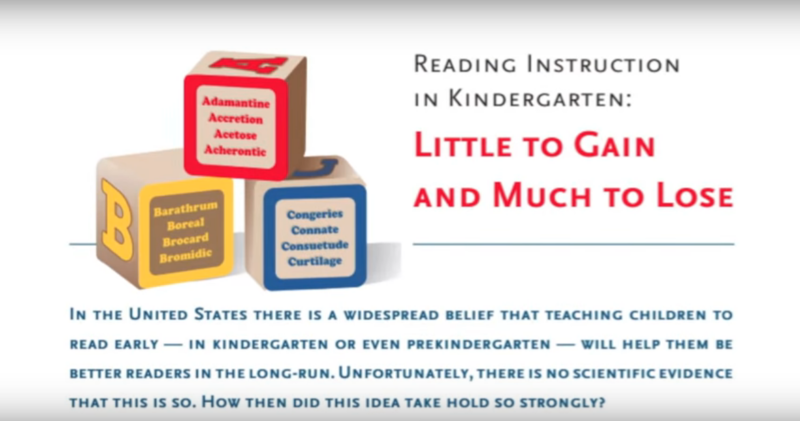 The NATIONAL ASSOCIATION FOR THE EDUCATION OF YOUNG CHILDREN offers a PDF interview with researcher and psychologist Dr. Alison Gopik. 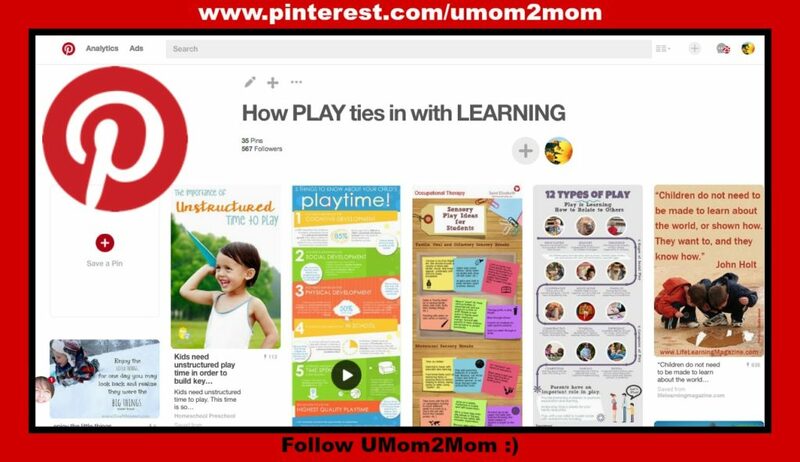 She shares how important play is in the preschooler's world and how a focus on early academics is misguided. Dr. Peter Gray shares examples of kids at play, describing how adults can help or hinder the learning process. "Jay Giedd, a neuroscientist at the University of California, San Diego, has spent his career studying how the human brain develops from birth through adolescence; he says most kids younger than 7 or 8 are better suited for active exploration than didactic explanation. 'The trouble with over-structuring is that it discourages exploration.' "
Meredith answers a question from a mom whose toddler is struggling with tantrums. She givessome explanation and some strategies for next time. Rachel Garlinghouse author and mother of 3 black children, shares how her homeschooling journey began. Seven key points identifying how starting academics too early leads to mislabeling or even damaging bright well-adjusted children. Hey Quit Pushing is now available as a book at Amazon. "The shift from an active and exploratory early-childhood pedagogy to a more scripted and instruction-based model does not involve a simple trade-off between play and work, or between joy and achievement. On the contrary, the preoccupation with accountability has led to a set of measures that favor shallow mimicry and recall behaviors, such as learning vocabulary lists and recognizing shapes and colors (something that a dog can do, by the way, but that is in fact an extraordinarily low bar for most curious 4-year-olds), while devaluing complex, integrative, and syncretic learning." The Foundation for Economic Education poses the questions, "is it possible that the educational decline America is experiencing is partly due to the push to get students into formal education environments at earlier ages? Would we get better results if we relaxed compulsory education laws and let learning take a more natural course until children reach age 8 or so?" "something’s changed in the early grades. Schools seem to expect more of their youngest students academically, while giving them less time to spend in self-directed and creative play." "The results showed that the more time children spent in less structured activities, the better their self-directed executive function. Conversely, the more time children spent in more structured activities the poorer their self-directed executive function." "Children in low-income communities are enduring play deficient classrooms where they get heavy doses of direct teaching and testing. They have to sit still, be quiet in their seats and comply. Many young children can’t do this and none should have to." These 3 articles are talking about this study, The Gift of Time: School Starting Age and Mental Health by the National Bureau of Economic Research. "Parents and policy makers care about teaching because they recognize that learning is increasingly important in an information age. But the new information economy, as opposed to the older industrial one, demands more innovation and less imitation, more creativity and less conformity. In fact, children’s naturally evolved learning techniques are better suited to that sort of challenge than the teaching methods of the past two centuries." Dr. Laura Markham shares some strategies for helping your child learn some good bedtime habits. "Every society values its own skill sets for its own reasons. The problem in America is that, while we excel at raising spectacularly verbal kids, we have lost sight of other values that we need to foster in our children." 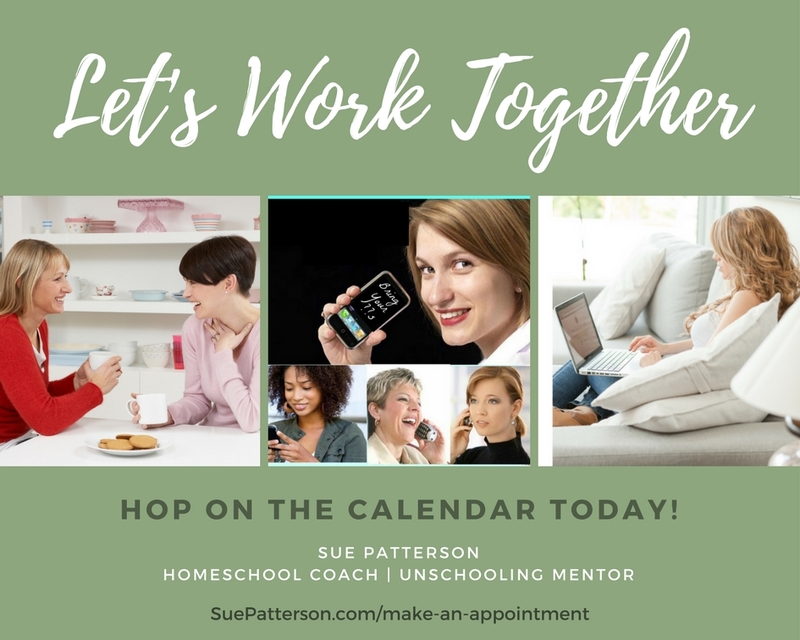 If you have questions about how to parent from an unschooling perspective, join us on Facebook! 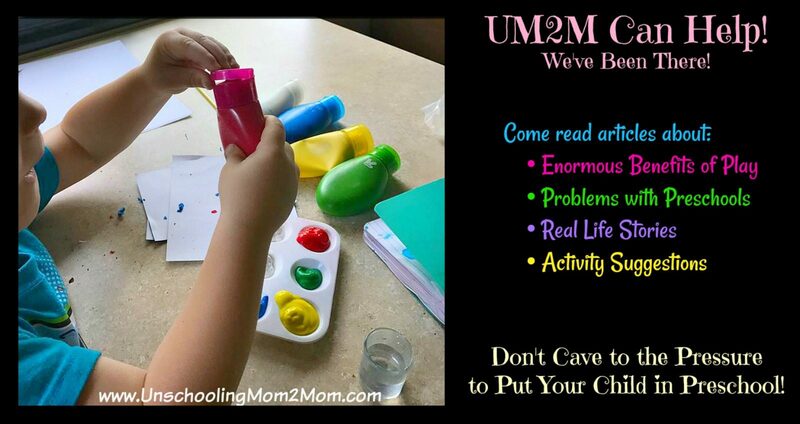 Our Unschooling Mom2Mom Facebook group will help you understand more about how unschooling can work for your children. Experienced unschoolers are there to help you figure out how to resist the urge of pre-school sign-ups and start on this fabulous path to unschooling.